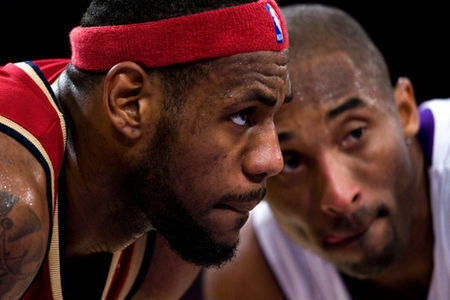 How much you bet (legally, of course) King James knows what Kobe did in Madison Square Monday Night? And I guarantee he has that special look tonight! Just like in 2004 Cinematic Masterpiece Bella Loves Jenna, after the passionate opening scene between Jameson & Belladonna that was Kobe in Gotham-esque, Monica Sweetheart seemed captivated and stepped-up to the bed and delivered a masterful exchange with Anthony Hardwood in scene two…which is exactly what I expect from Bron-Bron tonight in-front of the New York crowd. Especially with the respectable number it opened at because of the automatic back-to-back road shift Vegas gave the Cavs because of last night’s contest against Toronto (W 101-83), jump on this early before the masses get a hold of the Insideplays magic. The Cavs won't be relaxing like Gabrielle tonight! In my humble, correct opinion, if CLE played in NJ tonight, maybe I’d be worried about some tired legs, but this at the MFin Garden with Spike Lee sitting front-row fellas. Especially after Mr. “I hold white-girls down sometimes” Bryant erupting for 61 and broke the great Bernard King’s scoring record, you think King James will have some extra incentive tonight to prove he’s the best baller on the planet? 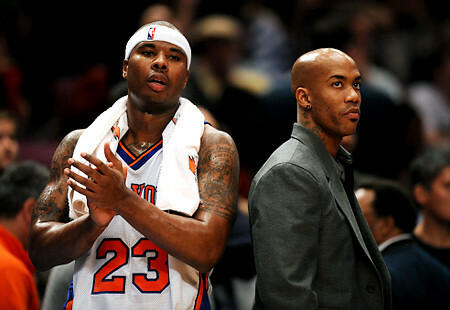 Ever sense Starbury arrived, Q's defense has slipped! And even better for this investment, who the hell is gonna guard LeBron? On Monday, Kobe was handled by the rapidly declining skills of Q-Richardson, the young Wilson Chandler, a desperation attempt from D’Antoni with Nate “Mighty Mouse” Robinson”, and the uninterested D from Al Harrington & Tim Thomas. Against the freakish size, strength, & quickness of Mr. James, I actually believe they’ll be in more trouble one-on-one, not to mention his passing skills & long-range threats spreading the floor (Mo Williams: 20 for last 40 from downtown – Wally: 41-3pt% for the year – Boobie Gibson 50-3pt% last 9 games). Throw-in the recent return of Big Z (14 ppg, 51 fg%, 48-3pt%) with his deadly jumper from the top to keep the few big-bodes of the Knickerbockers out of the middle, and the greatest 6-8 athlete on the planet will be able to attack the basket without much resistance. Considering he's raced past the best, I have a feeling he'll do o.k. against the artist formerly known as Mike James! For all the casual talk Vinsanity will be traded and this is a rebuilding year for the Nets...TOUCH ME HERE to keep Reading & Drooling! It'll be tough for the Wiz to cover the Nets two young bigs! For all the casual talk Vinsanity will be traded and this is a rebuilding year for the Nets, Jersey’s currently a half game out of the playoffs and played with remarkable passion on the road this season. I know it sounds crazy, but they actually have a better record away from Jay-Z than in-front of the man with Beyonce on his arm. Just as Jarah is deep in thought, NJ has been passionately thinking about the opprtunity to start a win streak! And trust me, I know the Association and how important a proper mind-set is. After winning at Philly on Saturday, I know Coach Frank pointed to the back-to-back tilts with Milwaukee & Washington emphasizing the realistic opportunity to start a three-game win streak. And did it ever work last night. The Nets hammered the Bucks as Vince dominated with a triple-double, and his young frontcourt looked phenomenal (7- foot Brook Lopez & 6-10 Ryan Anderson: 41 pts, 19 reb, 3 blk). And speaking of that young frontcourt, tonight they face the soft D of Antawn Jamison and a vacant center position with Brendan Haywood & Andray Blatche out. Devin's gonna smoke the Bullets floor generals tonight! But most importantly tonight against the absolutely awful Bullets (they’re 10-38 and coming off a home loss to a Memphis squad amidst a 12-game losing streak), there is one specific match-up that will be Washington’s demise...the lightning-quick Devin Harris (21.4 ppg, 6.4 apg, & 9 FTA p/gm) against the player once known as Mike James (3 apg, 37 fg%, & 33 years-old) and the currently clueless & already well-traveled 21 year-old Javaris Crittenton. As a result, don’t be surprised when I go 2-0 tonight, and don’t be surprised when Devin Harris attacks the rim to the tune of 30 tonight in an easy victory. ...hopefully you'll be as happy as Sara Jean! This page contains a single article from February 4, 2009 12:00 PM. The previous days article was Home of ATS Handicapping Maven. The next days article was NBA ATS PREDICTIONS & PRETTY FACES.